In collaboration with Alcoa Foundation, Girl Scouts of the USA has provided eight Girl Scouts since 2013 with the Alcoa Chuck McLane Scholarship, which is available to Gold Award recipients who complete Gold Award projects related to science, technology, engineering, or math (STEM). 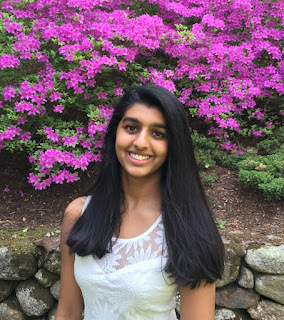 Akshitha Ramachandran of Girl Scouts of Eastern Massachusetts received the Alcoa Chuck McLane Scholarship in 2016. She will be attending Harvard College this fall (2016) and will be majoring in computer science. Check out her story and what she has to say about her experience in Girl Scouts. Tell us about your STEM-related Gold Award project. Women are underrepresented in the field of technology. There are no two ways about it. I addressed this issue from the bottom up by targeting the younger generation. Realizing how prevalent this problem was in my own community, I created a program, “Breakground,” aimed at elementary school girls. I showed them that computer science is not an intimidating subject. Rather, they should keep an open mind and explore its different facets. 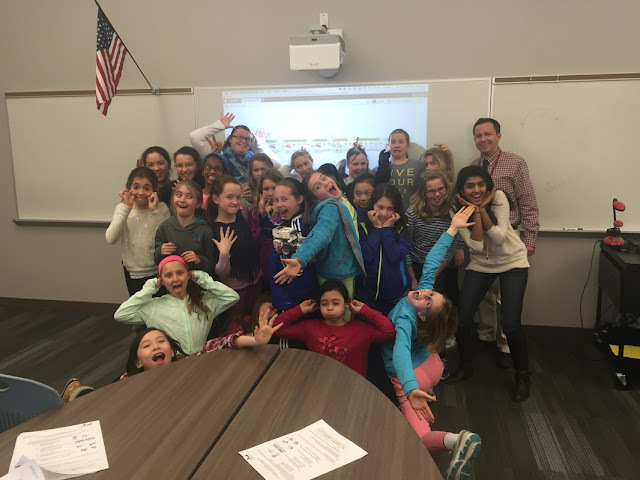 I created a hands-on curriculum, and then met with a group of 30 girls in the fourth and fifth grades. This “hackathon” had two meetings and over four hours of instruction time. I introduced the girls to a plethora of technology platforms, such as App Inventor, LEGO Mindstorms, and Code.org, and taught them the concept of pseudo-code/analytical thinking. The results of this program far exceeded my expectations. Breakground impacted the girls by drastically altering their perception of the field. They were visibly excited and eager to learn. 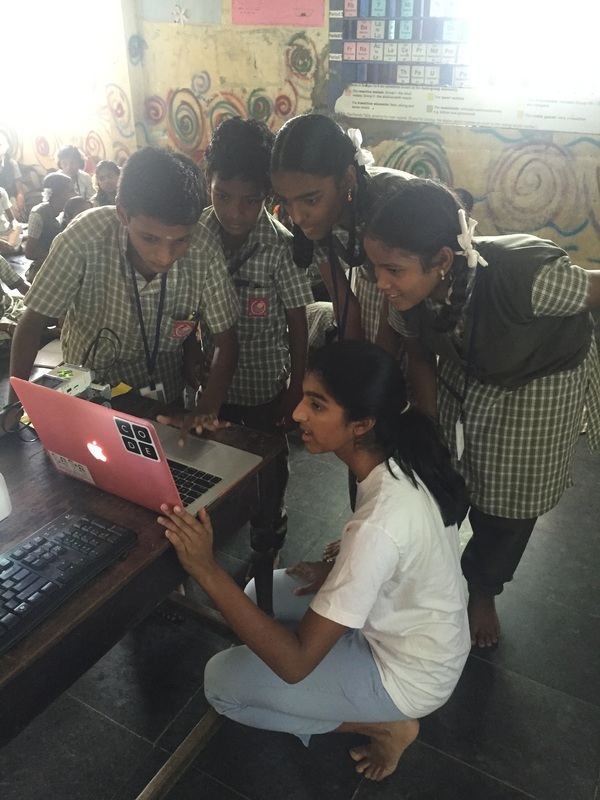 The noncompetitive and self–exploratory nature of the program lent itself to a very healthy learning environment. I have also expanded the scope of my Breakground program. The first avenue was my initiative to take Breakground international. I found a small Montessori school in Chennai, India whose fundamental tenet—that education is the best tool to climb out of lower socio-economic conditions—is one I strongly agree with. I spent one week with the kids, adapting my curriculum to cater to Tamil-speaking students, and raised over $2,000 for the school, stipulating that it can only be used for technology-related purchases, such as LEGO robots. Finally, given the popularity of my program in my hometown, I decided to expand Breakground within my hometown of Winchester, Massachusetts. Partnering with the town's recreation department, I expanded my curriculum to be nine-hours long and held two sessions of six-week classes through the months of February and March. What does the Alcoa Chuck McLane Scholarship mean to you? I value education greatly. This is something I have emphasized though my Gold Award and throughout the various initiatives I have undertaken to expand Breakground. Acquiring knowledge and then sharing it with others who are just as passionate about that subject is the fundamental tenet of Breakground and is something I want to do for years to come. This Alcoa Chuck McLane Scholarship allows me to expand the scope of my knowledge. By helping me pursue a higher education in a STEM field, the scholarship is enabling me to further explore something I am passionate about and, hopefully, I will be able to share that knowledge for a lifetime. What impact has Girl Scouts had on your life? Girl Scouts has provided me with opportunities. The Girl Scout organization is known to be a supportive community, where girls learn to become independent. While that is most definitely true, there is another side to the coin. Girl Scouts opens doors. Encouraging girls to pursue projects such as those done for the Gold Award forces girls to find topics that intrigue them and then carve their own niche within that field. This was an experience that pushed me to step out of my comfort zone—I had to arrange and lead meetings with principals, talk to the superintendent, and control a class of 30 elementary school students. Though daunting at first, this did in fact make me more independent. Moreover, it opened networking opportunities for me. From the new connections I made, to the fears I overcame, this Girl Scout Gold Award project has made me a better and more confident person. What advice would you give to other girls who are in the process of earning the Gold Award? My advice would be to find something they genuinely enjoy doing. Whether it is painting a mural, playing a sport, or even cooking—with a little creativity there is always a way to help others through your passion. The Gold Award is a project that requires time, dedication, and, most of all, commitment. Therefore, find something that intrigues you, something you want to explore further, and something you want to share with the world, and go after it! Statistics are intimidating. The Girl Scout Research Institute even claimed that, “more than half (57%) of all girls say-that girls don’t typically consider a career in STEM.” This gender inequality is present even at the high school level. In 2012, the College Board stated that, “While 54% of AP test-takers in 2012 were female, only 19% of that group took the Computer Science AP exam.” Putting it another way, while there are an equal number of girl and boy AP test takers, there is a significantly lower number of AP computer-science takers who are girls. Yes, the numbers do speak for themselves, and when it comes to women in STEM, there is no disputing the fact that we are a significant minority. My advice is, do not let being a minority daunt you. Although it may be hard at times, defy the numbers. Embrace being different and follow whatever path you want to take. Be passionate about technology. Many times that passion will sweep you up, allowing you to forget any prejudices that may be working against you. Most of all, don’t be afraid to break any and all barriers between you and the STEM realm. I take the lead by doing what I love. Whether that means wearing a Cookie Monster onesie to school or moderating a STEM panel at a Girl Scout conference, I take pride in what I do and thus lead by example. For many people, leading is associated with having a fancy title and trying to change the world. However, the most effective type of leadership is one that is small and meaningful. For me, I wanted Breakground to break any barriers that existed between young kids and STEM. Therefore, starting with a local elementary school, I worked to break that barrier with a small group of girls. Based on that success, I have since been able to lead larger groups and expand the curriculum. To “take the lead” one must start small and grow. Stay true to a cause that you love and find a way to make a difference.